The world is going on the app. At present, the world is going crazy for the new Pokemon Go app. You must have started playing it too. Mobile apps have recently become a massive industry, with almost every business in the world relying on them. 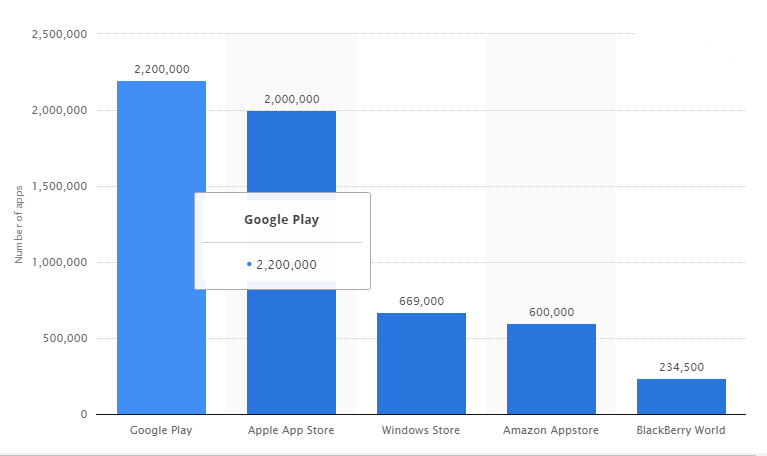 According to statista.com, Android users have 2.2 million apps to choose among. With Android claiming 70% of market share, competition for the top developers to build apps for devices running this operating system is as fierce as ever. Android developers are very high in demand right now. Android continues to be one of the fastest growing skill requirements and doesn’t show signs of slowing down. But the question arises, how to hire the right Android app developer? Finding an android developer isn't that tough these days, finding the right one for your business that can be tricky. 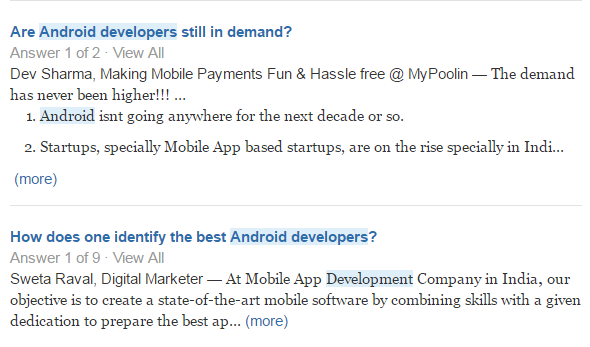 I found some questions on Quora where people are regularly looking for the ways to hire android developers. So, I thought of a few techniques that I've seen work, that I've written about here and we have personally implemented out over the years. A traditional resume may be necessary but never rely on one to hire. Resumes never speak the real stories. 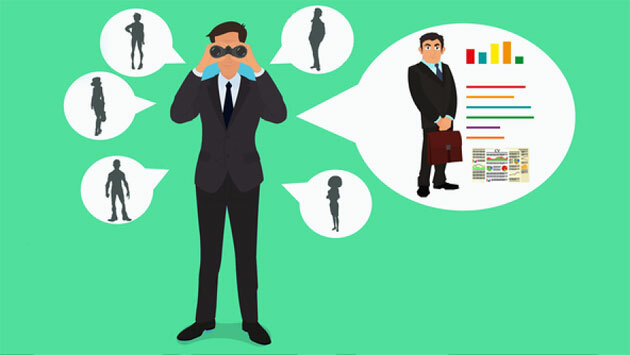 One issue being the human nature to exaggerate a simple role and the biggest issue, there are a lot of things resumes can’t tell you about a candidate. Like whether he will be fit for the job role, he will fit in with your company’s style or whether he is the type of person you want to work with. That's why simple coding tests are better than any time wasting interview process. These tests should be online; it will save yours and candidate’s time. 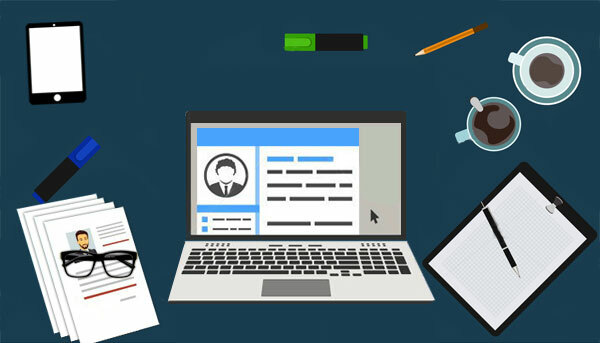 You can also integrate the online test with your website career page so that you don’t miss out on good candidates. The goal is not to prove that the candidate is some kind of genius, but to evaluate him for his skills and expertise. Make sure you choose valid & reliable online testing software with ready skill assessment tests to evaluate your android developers. It is a fast and easy and will save a lot of your time, efforts, and costs. You can weed out the irrelevant candidates with bluffed up resumes and low technical skills with the help of android skills assessment. Get simulation based coding tests that will enable you to measure the programming skills of candidates at all levels. 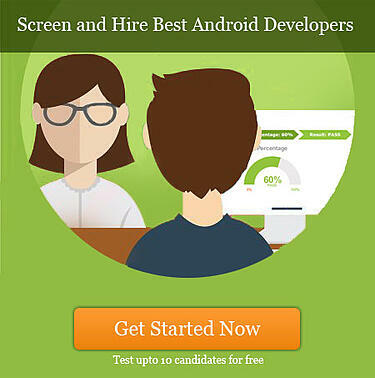 You can try Interview Mocha’s android online test to assess your entry level and junior android developers. If at all you are looking to hire experienced android developers try android skill test that contains meaningful application-oriented questions to help you hire the best developers. If at all you want to assess candidates specifically for Java you can choose from well-designed online java programming tests to evaluate candidate’s practical knowledge on Java concepts or you can simply ask Interview Mocha for customized android tests. A successful determination of technical proficiency goes far ahead of basic programming languages and knowledge of technology. In addition to technical acumen, it is crucial to evaluate the candidate’s technical strength, understanding, problem-solving, and creativity. Below is a list of generalized technical and non-technical skills you should look for in an android developer. Java - Although Java knowledge alone is not enough to make a great Android developer, mastery of the Java fundamentals are a must. Does your developer know what data types to use in the right situations? How about JNI, do they have experience with the Java Native Interface? All these things show an advanced understanding of the underlying Java platform, which serves as the foundation for any good Android application. Android SDK – It is expected that the android developer you would be hiring should have the basic understanding of layouts and views, activities and their lifecycle, user input, Collection views and Adapters, etc. He should also be competent with using the debugger in IDE to help troubleshoot bugs in the code. APIs - The android developer should be able to work with your API or some other 3rd party API. Look for his knowledge and understanding of JSON/REST APIs and XML/SOAP. Back-end skills - You don’t need to necessarily dive deep into back-end skills of an android developer. Just look for the developer’s understanding of back-end skills. Communication - Your developer should have good communication skills to collaborate successfully. He should be able to communicate to both technical and non-technical people. Passion – It should come as no surprise that Android developers get excited about positions when it’s clear they’ll have opportunities to get their hands dirty with new technologies. No, don’t write this in your job descriptions but make sure you look for his interest in his work and technologies. Look for the candidate’s passion for getting his hands dirtier with the technologies. 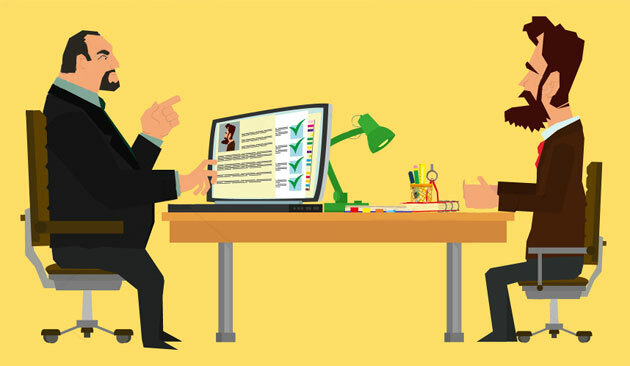 Team-Player – Know how well the developer performs in a team environment. Probe him further for the specific role, interaction within the team and contributions to the results. If you assess culture fit throughout the recruiting process, you will hire developers who will flourish in their roles, drive growth and success for your organization and ultimately save your time and money. A good cultural fit is associated with many more positive outcomes. Any android developer worth his experience has a portfolio of the things they've worked on. When looking at their portfolio, keep an eye out for apps with excellent user interfaces. A good android developer must also have excellent UI/UX skills. Ask the candidate to show his Stack Overflow profile where you can see what kind of problem solver he is? Ask him if has got a professional blog? Or just an open-source code repository to his stuff. That way you can gauge whether or not they have the skills, experience, and vision to produce the type of mobile app you're looking for. So the candidate sailed through the programming tests, has an amazing portfolio, has all the required-ish skills and is excellent cultural, now what? You now definitely want to sit down with them and ask the standard questions with specific examples from their previous work experience. Now you should be 90% sure that the candidate would be a great hire. Ask practical android developer interview questions to interview candidates for some particular design questions, coding styles, and patterns. Ask situation-based questions like below to know more about his previous work experience. 1. Normally, in the process of carrying out a screen reorientation, the Android platform tears down the foreground activity and recreate it, restoring each of the view values in the activity’s layout. In an app you’re working on, you notice that a view’s value is not being restored after screen reorientation. What could be a likely cause of the problem that you should verify, at a minimum, about that particular view? 2. What is Context in Android? Mobile developers building apps for Android products have long been unsure of what the Context class is used for. 3. Do you how to run Python on Android? How do you write code for multi-touch applications? This type of discussion will be extremely helpful than merely questioning the developer about the technical languages. Apart from the above situation based questions, ask these following general questions to find out more about candidates skills, experience, and knowledge. 4. What were the most interesting android app development projects you have participated in? Can you describe it and tell why you consider it to be so interesting? 5. Do you remember any android app development project decision you made that was a failure? Why do you think it was a mistake? Why did it happen? What did you learn from this experience? 6. Do you like to participate in the analysis, design and deployment phases of app development project or do you prefer to concentrate on the pure development of well-described task? Why? You also want someone with the problem-solving skills necessary to grow your business, so ask open-ended questions too. If still have doubt if the candidate who nailed the above, whether he is going to be a great hire, give them a project. I am not talking about some random project you found on the internet but with a real issue that you had encountered previously on your actual product. Ask him to tackle the issue, present the solution and address the main errors. Remember that your aim is to evaluate the developer’s ability to solve problem, knowledge of languages and coding style. Skilled developers are hard to hire, especially ones that share the vision for your project. Just as a product has market fit, developers have project fit. While these are some tips to help you on how to evaluate and hire an android developer, try what you think works best for your company (although I would strongly suggest you to never skip the first step). Let me know did this article help? Is there something I'm missing out? Don't hesitate to post some extra wisdom below in the comments.